All in all I would consider 2014 a sewing success. I made a total of 27 garments. This is way more than the 12 that I was aiming for so I am super chuffed. Anyhow, lets have a look at the hits and misses. You can click on the pattern name to go to the original blog post. This pattern featured on my most worn list last year but I do wear this iteration so often I had to include it again. 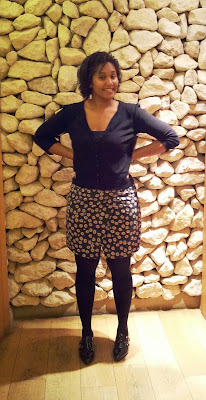 I reach for this when I have to go out and don't fancy wearing a skirt or dress and have to pair something with jeans. I also love that I popped this tank together from scraps in my stash. Although this version still needs some tweaking I wear this so often. 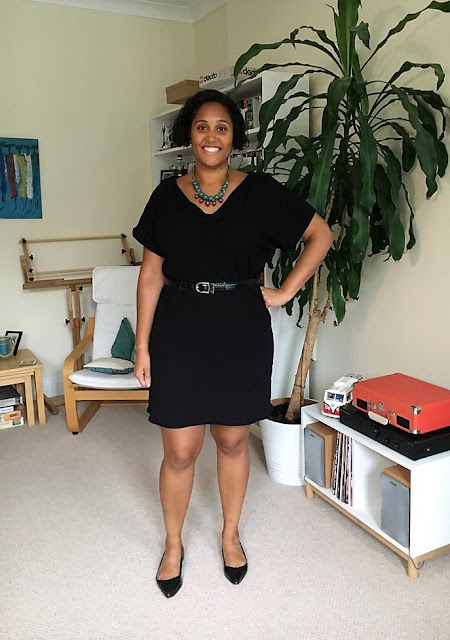 A great garment that works in all seasons, (it looks fab with boots and tights) and I can wear it casual, more dressy with heels on a night out and even to work. Plus, I love the fabric that I snapped up in Malaysia. I love this dress. The colourful fabric just makes me feel so happy when when I wear it and it always receive compliments. Not to mention how comfy it is. You just can't go wrong with a wrap dress. Never worn. 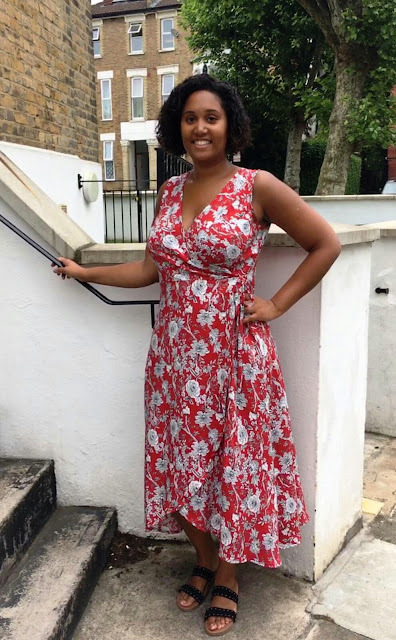 The style and fit of this dress just wasn't for me, I'm not too sad that this went to the charity shop as I did find a good shift dress pattern in New Look 6049. This is a wearable muslin so I shouldn't really include this skirt. And it isn't really a wadder as I have worn it out and about. It's just not very practical as the split really comes apart when you sit down. I would wear this to a bar where I am standing all eve, but not to work. During the year I set myself the challenge of completing a tailored jacket, but this was also a fail. From looking at my completed garments I haven't given myself the time to take it slow with some garments or create anything special. Most of my garments for 2014 have been casual or work wear and nothing special occasion. So let's have a look at how this has shaped my goals for 2015. Fingers crossed that number one will encourage me to sew up some lovely special occasion dresses. I am attending a friend's wedding in May, so I already have a special event to sew for. Hopefully this will also teach me the patients to have multiple projects on the go. To be honest I am a one project at a time person, but the eagerness of wanting to move on to the next project means that don't invest in a tricky or time consuming garment. Let's see if things will change in 2015. In 2014 I catalogued my sewing patterns and I have over 100 patterns in my stash. 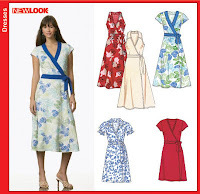 I am going to see if I can get through 2015 without buying any new patterns. It's going to be hard and I may do a little patttern shop on the 31st December to make sure that I am not missing out. Wish me luck! How did you fare in 2015? What were your hits and misses and did you complete all of your sewing goals? You did have a great sewing year. Bravo! What a great year - 27 garments is a win in my book, even if you did not achieve all your goals - that's what 2015 is for. I'll be joining you in some of these goals I hope. Especially stash busting and using patterns already hoarded. You did quite a bit of sewing in 2015. I love that green on B5949, hopefully you can selvage the fabric. I didn't know you joined the No new sewing pattern challenge :) thanks. Please leave update of how its going.